For National Work-Life Week, Johanna Haffenden, Knowledge Manager at Power to Change, shares her experience and tips to support the work-life balance of part-time workers. I’m a part timer. I work at two different charities where I manage databases and carry out data monitoring and analysis to measure impact. The Organisation for Economic Co-operation and Development (OECD) defines a part-time employee as someone who works less than 30 hours per week in their main job. Although I fall into the OECD part-time employee definition, I am strictly speaking, a full time employee as my two jobs add up to full time. I am not alone. According to the ONS statistics released on the labour market in September there are around 25% of people in the UK who are in part-time jobs. The reasons for being a part-timer vary, from not being able to find a full-time job (12%) to not wanting a full-time job (70%). Whatever the reasons are behind the part-time stats, it is fundamental that organisations, including community businesses, adapt to the part-time roles they create. These are three key points I think organisations should always include when considering managing part-time employees. First, a strong and clear strategic direction and structure around the role. This allows the part-timer to have a clear steer of where and when to best make use of the time available. This needs to be hand-in-hand with clear channels of communication that enable part-timers to keep in the loop of developments during their absence. Second, as highlighted in various studies, part-timers might also feel overqualified or overskilled for the job. It is important that organisations and managers foster an environment where continuing professional development also happens. For example, you could set up a mentoring scheme so that staff are recognised for their knowledge and experience, while upskilling your team. Or setting aside days for them to attend sector events, or join a peer network so they can keep their finger on the pulse and learn from peers. And third, flexibility. It’s important to define what that means for your organisation. rather than it being left to the manager’s whim. For example, flexibility could mean letting people work from home sometimes or flexible hours. A coherent and consistent approach should be adopted to promote a culture of fairness and respect. Work-life balance is definitely a slippery concept. People have different opinions of what they think it is. This definition amalgamates different tonalities which are coloured by their own experience of ‘satisfied life’ states. In my case, it mixes all the above. 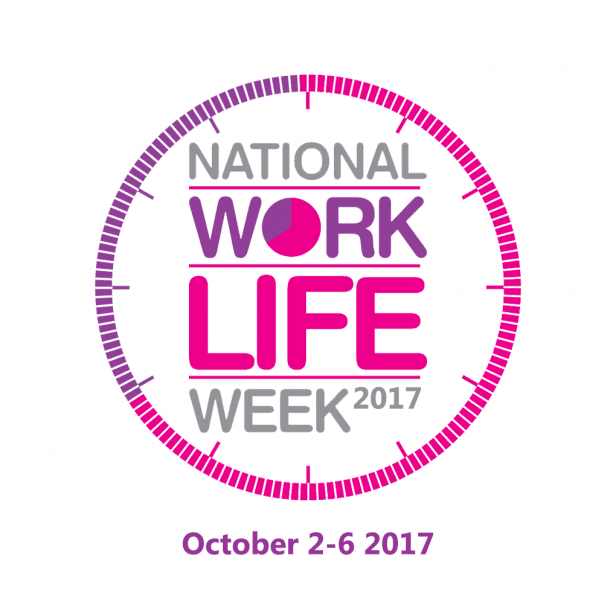 National Work-Life Week is a great time to have these conversations, whether in a traditional organisation or a community business. Office for National Statistics (ONS). https://www.ons.gov.uk/employmentandlabourmarket/peopleinwork/employmentandemployeetypes/datasets/fulltimeparttimeandtemporaryworkersseasonallyadjustedemp01sa. “Making the Best of a Bad Job? Women and Part-Time Work in the United Kingdom” In Exploring Resources, Life-Balance and Well-Being of Women Who Work in a Global Context, 2016; Ending stigma of part-time working ‘would benefit all’, Financial Time, 2014.